Ever worry that someone may try to claim the rights to one of your images? 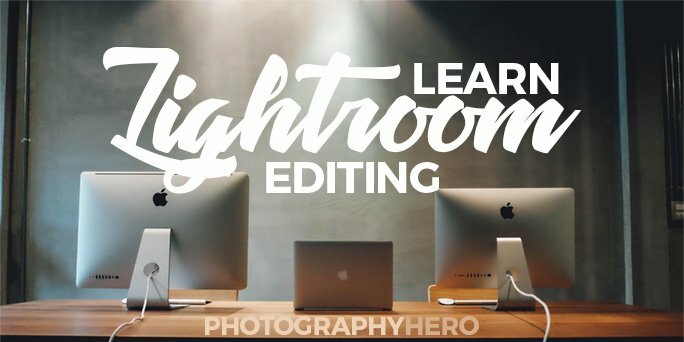 Solve this by adding copyright to your images in Lightroom. 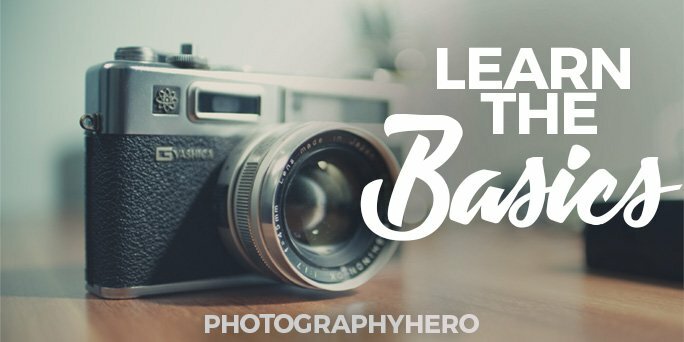 Often, photographers think the only way to put their copyright on a picture is to place a watermark on the outside for all to see. While this is good, especially if you are posting your images on social media or the web, that watermark can often be cropped out. 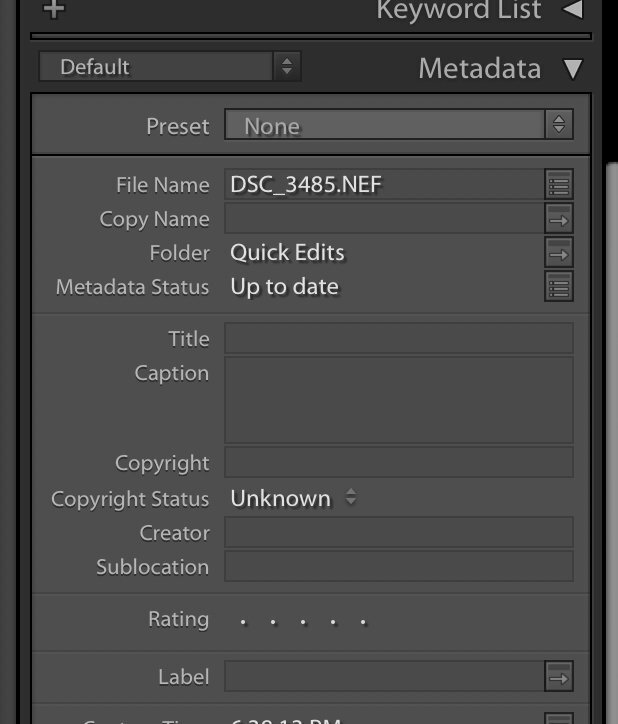 Another way to mark the photograph as yours is to embed your copyright info into the metadata of the image. Inside of each image, away from what viewers see is information about the image. This info is called the metadata and contains information like the camera, the lens, focal length, f-stop and shutter speed, date and time, etc… Even GPS data as to where the image was taken can be kept in the image. 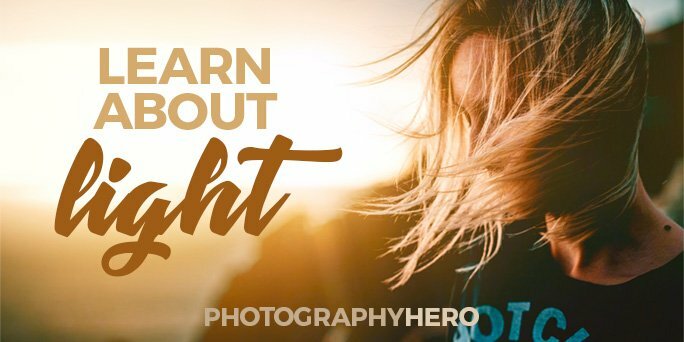 With Lightroom, you can choose to add certain information to this metadata as well, namely your name, address, and phone number and copyright information. Copyright information should be included in all of your images and will show you as the creator of the image. This can bring added security when sharing your images with clients or on the web. Your copyright information could be as simple as ©mystudio.com, to full contact details for someone wanting to use the image. Once embedded, you will have more success tracking down your images as they spread throughout the web. Be aware, however, that this option is not fool proof, as software can strip out the metadata from an image file, but for the typical client, stripping out metadata is not something they know how to do. 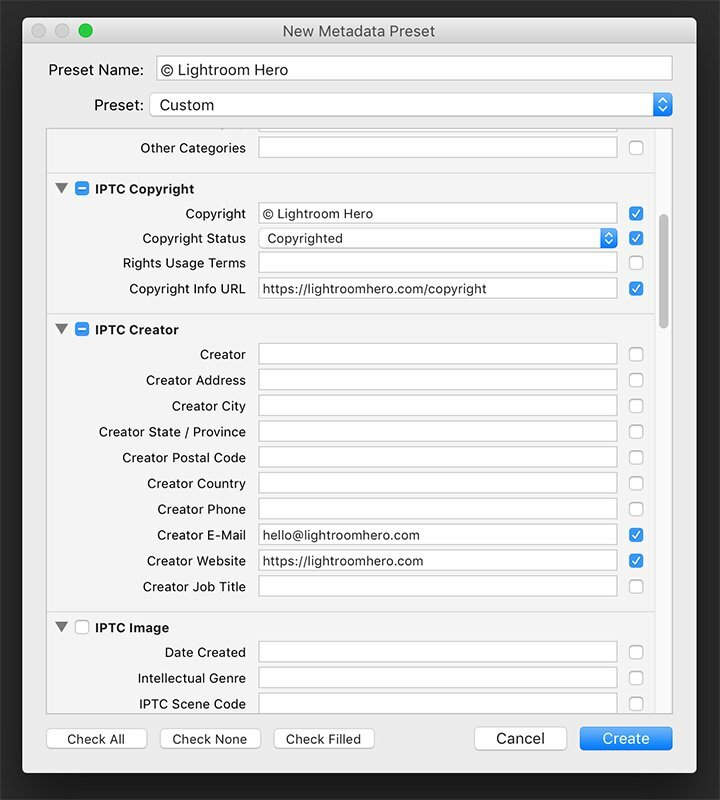 The best time to add your copyright info into your images is as they are imported into Lightroom. 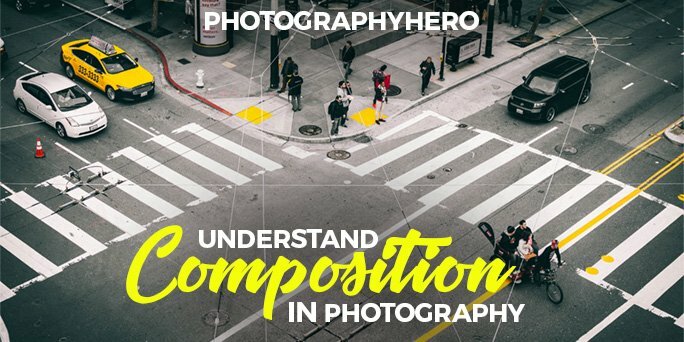 When you finish a session with a client, your workflow should call for you to download your files to your computer and load them into Lightroom. 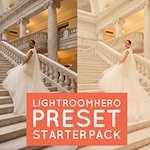 You can set up an import preset that allows you to embed your copyright information automatically as the images are imported into Lightroom. Here’s a short video showing you how to do just that. While in the Import Dialog box, in the destination column on the right-hand side of the window, look for the Apply During Import panel. Inside that panel, you will see Metadata. Currently, it is set to None. And we want to change that. 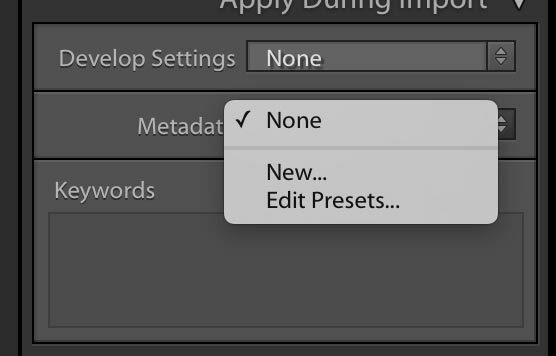 So click on the scroll down menu and select New… so we can create a new metadata preset with our information. When you select New… the metadata dialog box will appear. I have circled the areas you’ll want to fill out for sure, but you can choose to fill others out as well. 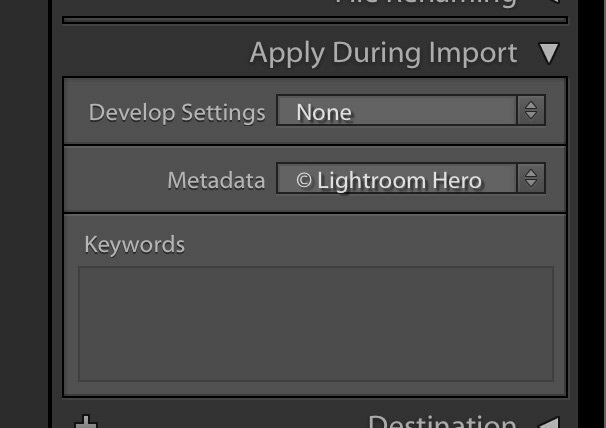 PRESET NAME: This is where you will name the metadata preset, something you will remember what you put in this box! COPYRIGHT: Enter your copyright here. To type copyright symbol © on a Mac, simply hit the Option key and then the G key. On a PC, hold the ALT key and type 0169 on the number pad. Following the copyright symbol, you could choose to type the year, or just your name or business name. The problem with typing the year, is that you have to remember to update it every year. 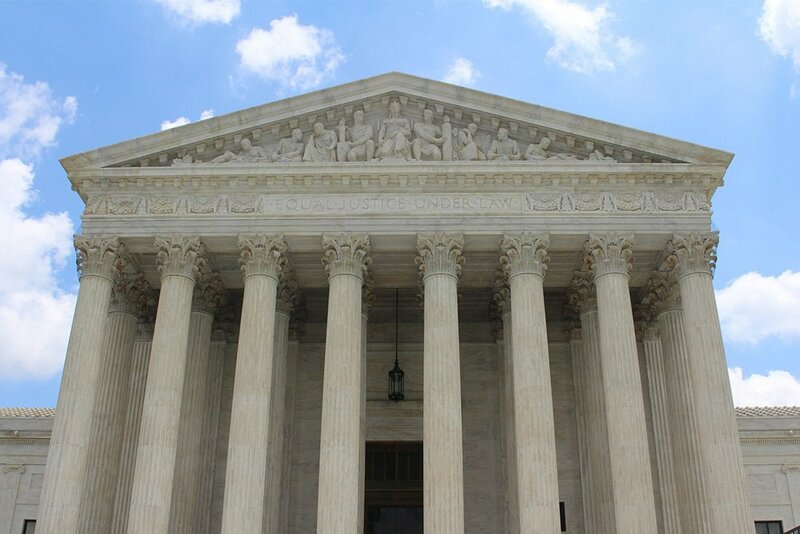 COPYRIGHT STATUS: Here you will choose the type of copyright you have selected for the image, either restricted, or public domain. COPYRIGHT INFO URL: Here you can link to a specific webpage that has more info on your copyright, or you can link to your the contact page on your website so someone could enquire about the info. CREATOR E-MAIL: Enter your email address here to let someone contact you about the image. CREATOR WEBSITE: Enter your website info here. 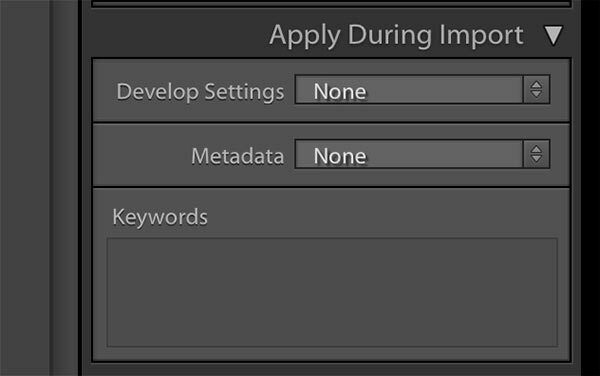 Once you have filled out the info, hit create at the bottom to create the metadata preset. Once it is created, when you import your images into Lightroom, simply make sure that it is selected in the metadata pull down menu. 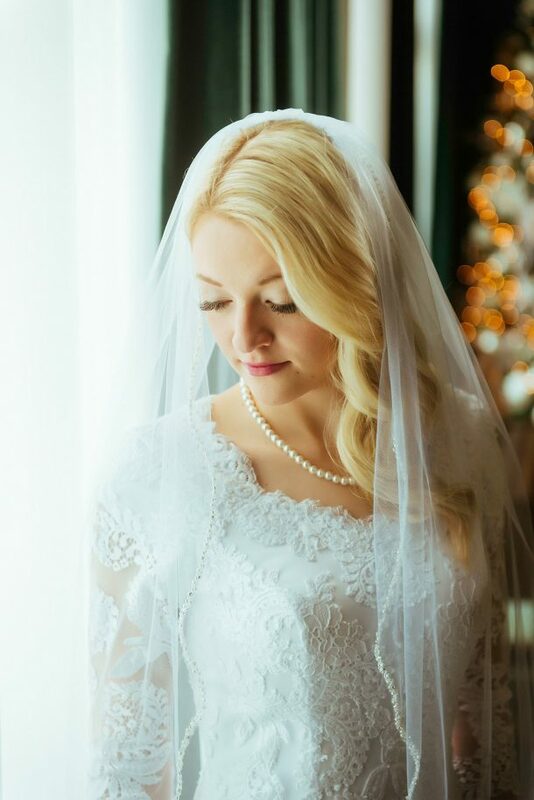 This will ensure that all of your images have this info embedded into the file. 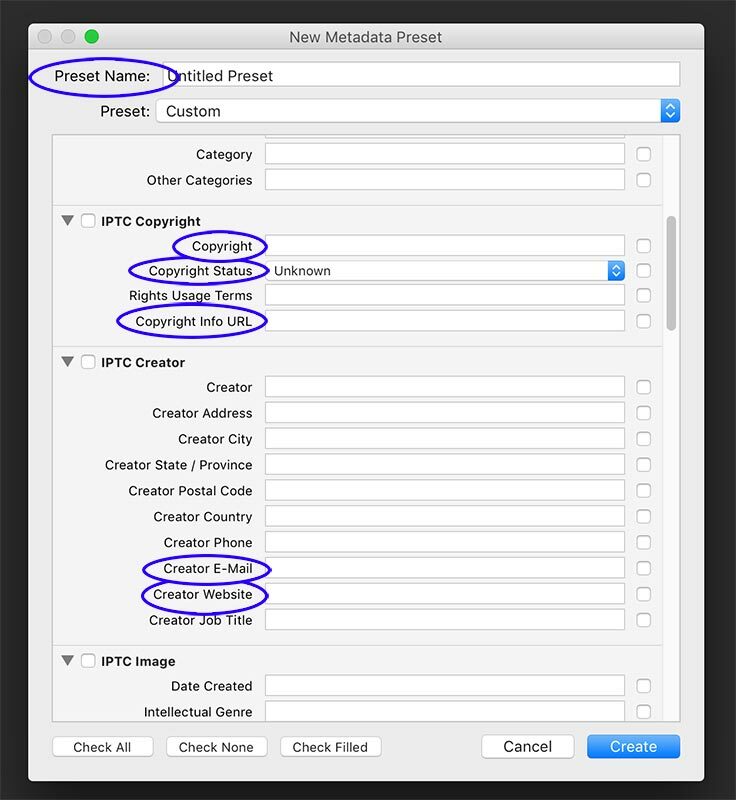 If you don’t use Auto Import, or want to add copyright information to a single image manually, simply select the metadata panel on the right side of the Develop Module. In this panel you will see the same options listed above and can enter the desired information. Even though it is not fool-proof, it’s still a good idea to add copyright information to your images. This info will help you to keep track of your images as they spread across the internet. And with it being so easy to add, why wouldn’t you do it?